Phlox 'Mike's Favorite'. 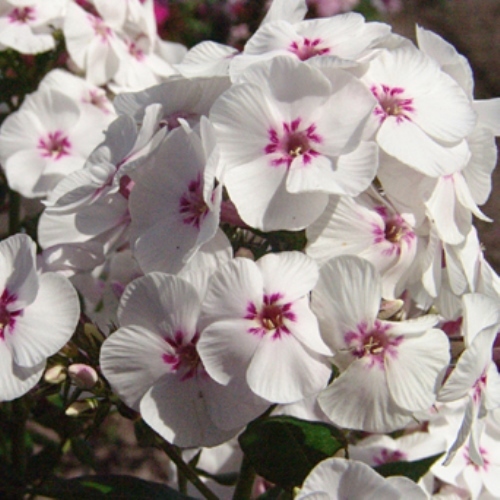 A tall garden phlox with large white flowers dotted in the center with maroon specks. Very good disease resistance. Vigorous, quickly clumping into a nice full plant with lots of flowers. PPAF.